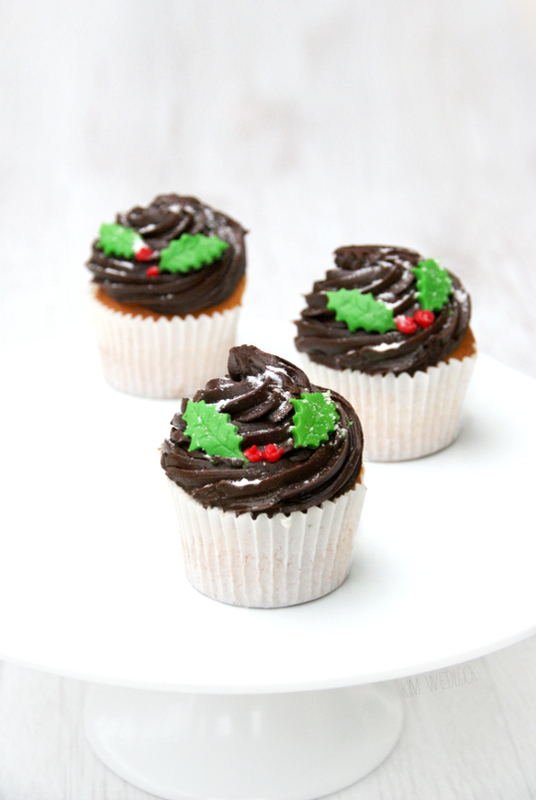 I did a little bit of simple Christmas baking yesterday - I heard a Christmas song on the radio and that was it. As far as I'm concerned, now that it's December, there's no shame in any Christmas-related goings on except the premature opening of gifts! So I baked a small batch of simple vanilla cakes and went to town on the frosting! I love how the icing sugar looks just like snow. And no, I didn't eat them all on my own. I made half the batch I usually make (which even then is more or less half of a full recipe) and shared them with the family. There were literally six cakes, so Seeg and my dad got the two extra. But I had to photograph them first! I like to try and make quite complex designs when it comes to cakes and stuff, but I loved the simplicity of these!